Every day the catalog of genius hair tips and tricks we learn from celeb hairstylist extraordinaire Jen Atkin’s Snapchat (@JenAtkinHair) grows. The discovery of these bobby pins on steroids is no exception. We thought a bobby pin was a booby pin, that is until Atkin introduced us to Japanese bobby pins. They look like ordinary bobby pins, but don’t be fooled—there’s a reason pro hairstylists won’t use anything else. Scroll through to find out why! What makes Japanese bobby pins special? The short answer is they were created for Japanese hair. (Duh.) But think about it—Japanese hair is thick, shiny, and silky. All of that slippery, straight hair needs a pin that can contain it. So, Japanese bobby pins are stronger than your average drugstore bobby pin. They’re more durable—they never bend or snag, the tips don’t fall off after a few uses, they don’t stretch out, and they’re rust-resistant. The patented Japanese technology features an enhanced long-lasting spring that delivers a firm, secure grip. They look like ordinary bobby pins; they’re flat and about the same size. But if you were to compare one to your normal bobby pins, you’d see the Japanese ones are tighter—there’s not as much space between the two prongs. When you slide one in, it won’t slide out, even on the thickest hair. And you need fewer Japanese bobby pins to secure the same style. Which is why so many pro hairstylists swear by them. The downside? 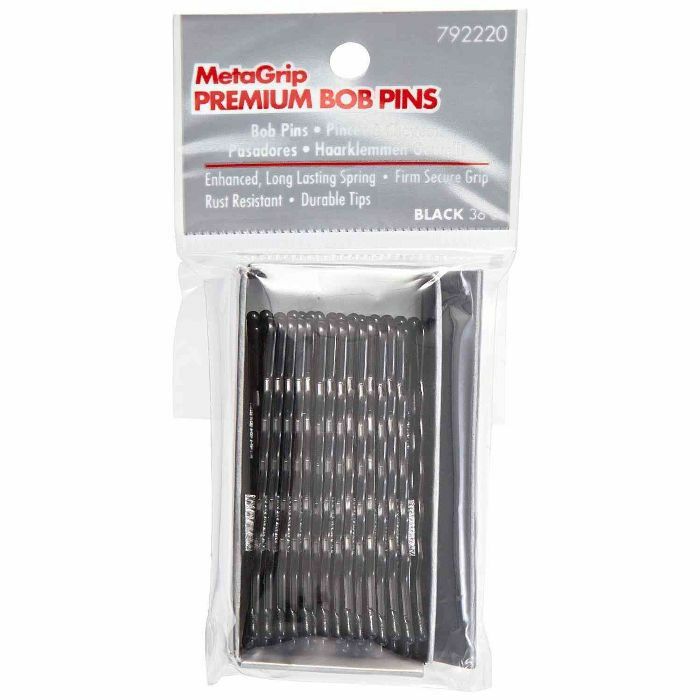 They are slightly more expensive than the bobby pins you’re used to (just by a couple dollars), and they’re more difficult to find. Look for them at beauty supply stores or buy them on Amazon. Have you ever tried a Japanese bobby pin? Tell us your thoughts below! If You Aren't Using Dry Shampoo Like This, Are You Really Using It?